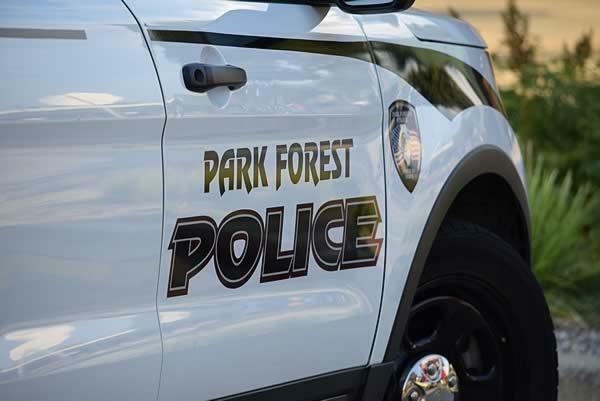 Park Forest, IL-(ENEWSPF)- Editor’s Note: These Park Forest Police blotter reports cover arrest incidents through June 25, 2018. Charges include domestic battery, theft, and felony manufacturing/delivery of cocaine. We are working to provide more details in reports now that we offer subscriptions. We invite you to get the whole story: please subscribe today. eNews Park Forest reports this information because the public in the United States has the right to know. When that information is withheld or under-reported, it leaves questions. We also want to show the work that the police force does every day that is not reported. 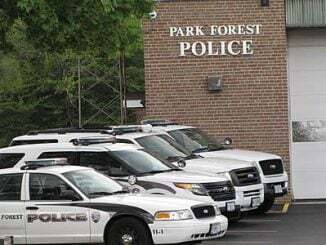 Police in Park Forest respond to thousands of calls per year, the vast majority of which do not entail arrests. Whether it’s conducting a routine investigation, pulling over a drunk driver, or responding to a possible theft at a store, the work of the police officer deserves acknowledgment by the public. Stephen Grandison, 52, 80 Westwood Dr., Park Forest, was arrested on June 19 and charged with one count of domestic battery when police were dispatched to the first block of Westwood Drive regarding a report of a domestic disturbance. Mr. Grandison allegedly punched a female victim on her right cheek with a closed fist and began to pull her hair, according to police. Tristan Page, 20, 111 Willow St., Park Forest, was arrested on June 20 and charged with six counts of theft when police responded to the area of Court J-19 to investigate a report of a theft in progress. According to police, the person who called dispatch stated that a man had just taken a lawnmower from the 100 block of Park Street and was walking toward Court J-19. The responding officer located a lawnmower in that parking lot and saw a man matching the description given by the caller walking away from the lawnmower. The officer recognized the man as Tristan Page from previous incidents, according to police. Also, Mr. Page was wanted in connection with a recent theft of a lawnmower, according to police. When the officer asked Mr. Page what he was doing with the lawnmower, Mr. Page allegedly responded that he got the lawnmower “from the corner house,” according to the report. The officer asked Mr. Page why he took the lawnmower, and Mr. page allegedly responded, “What you mean? You can get money if you find those,” according to police. Mr. Page’s vehicle was towed from the scene. At the Park Forest Police Department, Mr. Page allegedly admitted to taking lawnmowers from six addresses in Park Forest, including the one on Park Street referenced in this report. Grady C. Bouie, 23, 224 Arrowhead St., Park Forest, was arrested on June 21 and charged with misdemeanor retail theft when police were dispatched to a business in the first block of Main Street to investigate a report of a retail theft that had just occurred. Police were advised that a man with a red shirt and blue jeans allegedly took liquor from a store and left on foot. An officer located a man matching the same description, later identified as Grady C. Bouie. The officer found four cold 24 ounce cans of beer in Mr. Bouie’s possession, according to police. Mr. Bouie was positively identified by a store clerk, according to police. Mr. Bouie was assigned a court date of July 24, 2018, at the Markham Courthouse. Marquez D. Johnson, 22, 277 Allegheny St., Park Forest, was arrested on June 22 and charged with one felony count of manufacturing/delivery of cocaine (class 1), possession of a controlled substance (class 4), and a citation charging speeding when an officer driving behind a vehicle on Algonquin Street noticed that the vehicle appeared to be accelerating at a high rate of speed, according to police. The officer determined that the vehicle was traveling 40 miles per hour in a posted 30 miles per hour zone, according to police. The officer activated his emergency lights as the vehicle turned into the driveway of a residence in the 100 block of Algonquin Street. The driver, Mr. Johnson, repeatedly made “furtive movements with his hands toward the floorboard of the vehicle as if he was attempting to retrieve something, despite being ordered to keep his hands up on numerous occasions,” according to police. The responding officer detected the smell of burnt cannabis coming from inside the vehicle, according to police. Another officer arrived to assist. The responding officer instructed Mr. Johnson to exit the vehicle and told him he was going to conduct a protective pat-down on Mr. Johnson. Mr. Johnson then allegedly made a fast movement towards his front left pants pocket, according to police. The officer was not sure if Mr. Johnson was going to produce a firearm so he pushed Mr. Johnson towards his vehicle. The officer then saw Mr. Johnson allegedly throw an item over his vehicle and onto the sidewalk. The officer determined that the object was not a firearm. It was later determined that Mr. Johnson had thrown a large amount of money. When the responding officer first initiated the traffic stop, a woman, later identified as Derika R. Richardson, 19, 128 Algonquin St., Park Forest, approached the vehicle, according to police. The responding officer told her to go back into the house, however, she allegedly did not comply, according to the report. Ms. Richardson stood on the sidewalk. When Mr. Johnson threw the money, Mr. Johnson told Ms. Richardson to grab the money and go into the house. Ms. Richardson picked up the money, ran towards the front door of the residence, and threw the money inside, according to police. At that point, Ms. Richardson was placed into handcuffs, arrested, and charged with one misdemeanor count of obstructing. Mr. Johnson was then handcuffed pending further investigation into this incident. An officer attempted to place Mr. Johnson into the rear of a squad vehicle. However, Mr. Johnson allegedly did not comply with the officer’s commands, even after at least “10 verbal commands,” according to the report. Mr. Johnson and Ms. Richardson allegedly refused to sit down on the ground. At one point, Ms. Richardson allegedly tried to walk away while she was handcuffed, according to police. Mr. Johnson finally complied with officers after the responding officer powered his Taser, warning Mr. Johnson that he would get tased unless he complied. At this point, police from the Matteson Police Department arrived to assist. Police then received permission from the owner of the residence to go inside and retrieve the wad of cash that Mr. Richardson threw inside, according to police. Because of the odor of cannabis emanating from inside the vehicle, police searched the vehicle and located a clear Ziploc bag containing multiple smaller Ziploc bags with a white rock-like substance inside consistent with that of crack cocaine, according to police. Mr. Johnson’s vehicle was then towed from the scene. The responding officer completed a Cook County Asset Forfeiture form regarding the money recovered from the scene. The grand total for the cash was $10,297, according to police. Tyson S. Krabal, 39, 2007 Amherst Court, Flossmoor, was arrested on June 24 and charged with one count of unlawful possession of a controlled substance and possession of drug paraphernalia when police responded to the first block of Ash Street, Court A-1, regarding a report of an intoxicated subject. SouthCom Dispatch advised that a man in his 30s was walking in the area and reportedly kept falling down, possibly intoxicated, according to police. Upon arrival, officers conducted a premise check around courts A-1 and A-3. They located an open rear storm door at one residence. The officers announced themselves several times as Park Forest police officers, attempting to speak with anyone inside. They heard no answer from within but did hear running water inside the residence. The officers made entry into the residence to check the well-being of any person(s) who might be inside. One officer went to the second floor and discovered that the bathroom sink had been left running. No one was inside the bathroom. An officer located a subject, later identified as Tyson S. Krabal, lying on a bedroom floor, slouched against a nightstand, face up, unresponsive, with labored breathing, according to police. Police noticed a pool of liquid underneath Mr. Krabal, who also had soaked shorts, according to police. Mr. Krabal was unresponsive despite several attempts to wake him, according to police. Police located a small metal safe with the top door left open on the couch in the bedroom. Inside were used hypodermic syringes, a clear glass pipe, and ripped knotted plastic baggies. On the coffee table next to Mr. Krabal was another used hypodermic syringe and two more glass smoking pipes, one clear, the other multicolored, according to police. Park Forest Paramedics were summoned to the scene to check on Mr. Krabal. The owner of the residence could not be located, according to police. Inside the residence, police located a small plastic baggie containing seven white oval pills marked Xanax and three green oval pills marked S903. Mr. Kryaal responded enough to be led from the residence to the parking lot of Court A-3. He was checked by paramedics and subsequently refused medical assistance, according to police. Police transported Mr. Krabal to the Park Forest Police Department, where he was charged.